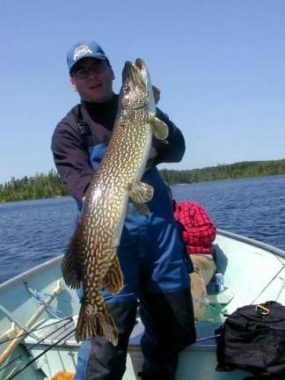 The Brown Bear Lake system is considered to be one of the best Canada fly-in Fishing lakes in the northwest region of Ontario. The Smallmouth Bass fishing in this lake average 2 to 3 pounds. 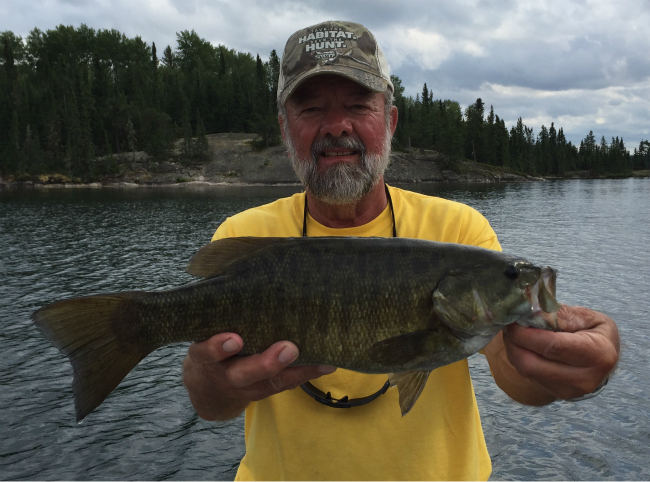 Four pound fish are common, and trophy wall-hangers (5 to 6 lbs.) are produced every season. Now you would think that would be enough to keep you busy, but we have got more. where three boats and motors are waiting for you. You carry only your fishing rod, and maybe your shore lunch for the day. By boat, you can travel from Midway Lake West to Midway Lake East through a scenic remote waterway about 5 miles long for some more great fly-in fishing action. 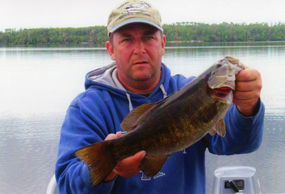 Both of these fly-in lakes have loads of Smallmouth Bass and fast action Northern Pike fishing to keep you satisfied. Many of our guests report moose sightings in this area. Now if you are not too tired, we have another portage (4 minute walk) from Midway Lake to Beauty Lake. 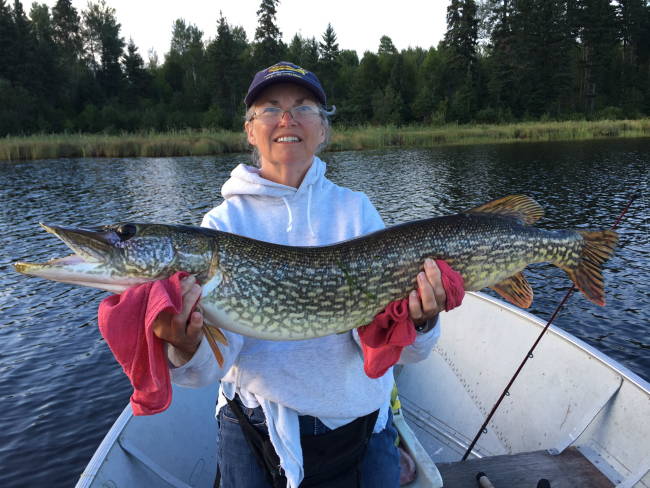 Beauty Lake is our fighting Lake Trout fishing destination, along with some more of the nicest Smallmouth Bass fishing and northern pike fishing that you will ever see. From here, we have one more portage lake for the devoted Walleye fisherman. The trail is located at the northwest end of Beauty Lake and it is not for the weak-hearted. The trail is marked and it takes about 15 minutes across an old logging cut to the secluded little lake full of fighting walleye and pike. We have boat motor and fuel there for you to use so you just bring your fishing gear and a lunch. 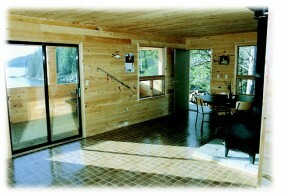 Moose Point Lodge in the heart of Northwest Ontario is a deluxe, 3-bedroom Canada fly-in fishing outpost and has over one thousand square feet of living space, capable of comfortably accommodating large groups of fishermen with a minimum of six guests for the month of June. 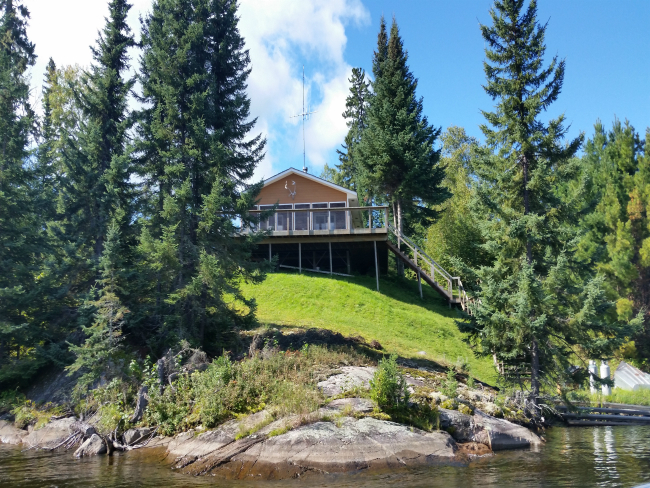 This fly-in outpost fishing camp is located high on a point with a panoramic view, on a quiet bay in the heart of Brown Bear Lake. 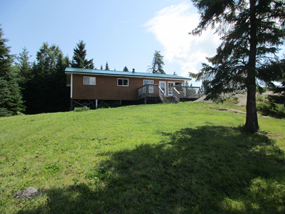 The outpost cabin is private and remote and has all the conveniences of home with complete kitchen facilities, hot and cold running water, hot showers, and a large screened-in porch overlooking the lake. All boats are 16-foot Lunds with raised swivel seats and new Yamaha motors. This is an excellent fly-in fishing outpost for large groups, with lots of water and excellent angling throughout the season. 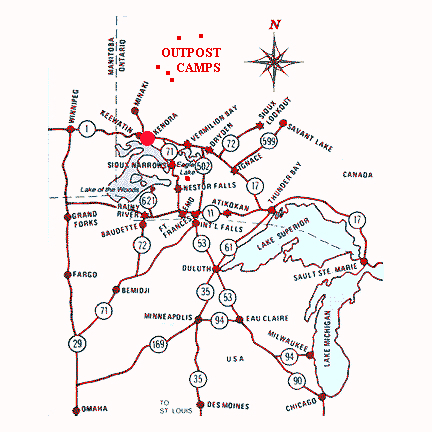 Our fly-in bear hunting trips are done from this outpost. Check out GoBearHunt.com for more information.